6-Speed Automatic HD Electronic with Overdrive, 4WD, jet black Leather. CARFAX One-Owner. Clean CARFAX. 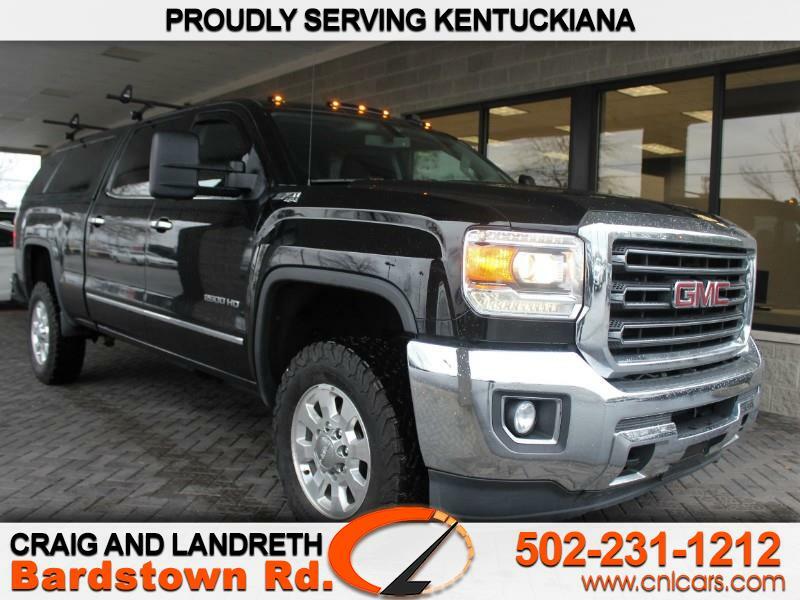 Onyx Black 4WD 2015 GMC Sierra 2500HD SLT Vortec 6.0L V8 SFI Flex Fuel VVT Awards: * 2015 KBB.com Brand Image Awards Proudly serving Kentuckiana for over 40 years with an A+ BBB Rating! Having 7 convenient locations and over 800 vehicles, we're sure to have the right car at the right price! Inquire to schedule your VIP test drive today. All prices plus tax, title, lic, and dealer processing fee.